Live streaming is growing faster than ever. Are you taking advantage of it? 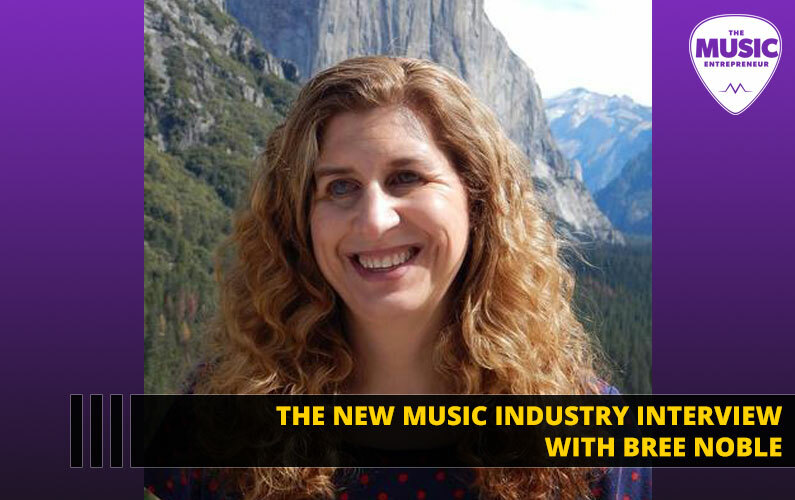 In this episode of The New Music Industry Podcast, John Petrocelli of Bulldog Digital Media reveals what you can do to unleash the full potential of live streaming in your business or career. 00:41 – What is Bulldog Digital Media? 02:23 – Why is the live streaming market growing at the rate it is? 07:15 – How does live streaming transform a business or artist’s career? 10:47 – How can people execute at a high level when live streaming? 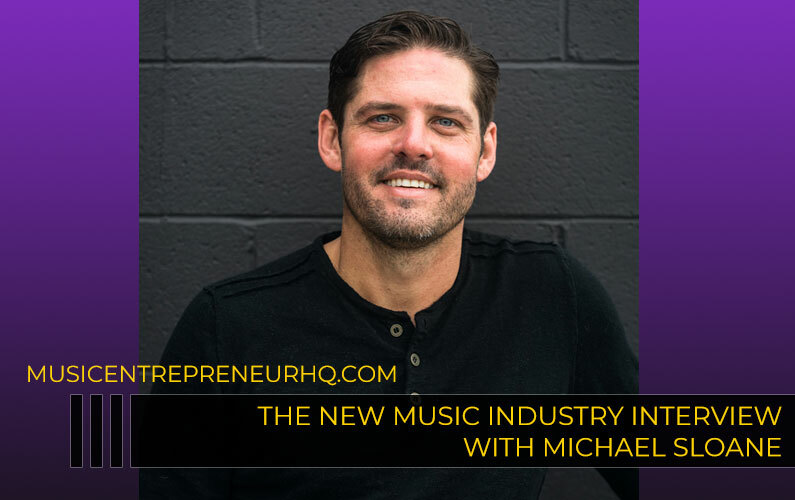 12:09 – How can the average musician leverage live streaming? 18:05 – What are some of the biggest struggles you’ve encountered as an entrepreneur? 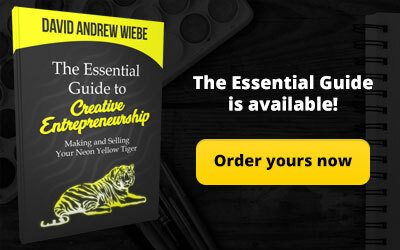 21:44 – What are some of the biggest victories you’ve experienced as an entrepreneur? 25:07 – What books, blogs, and podcasts have inspired you? 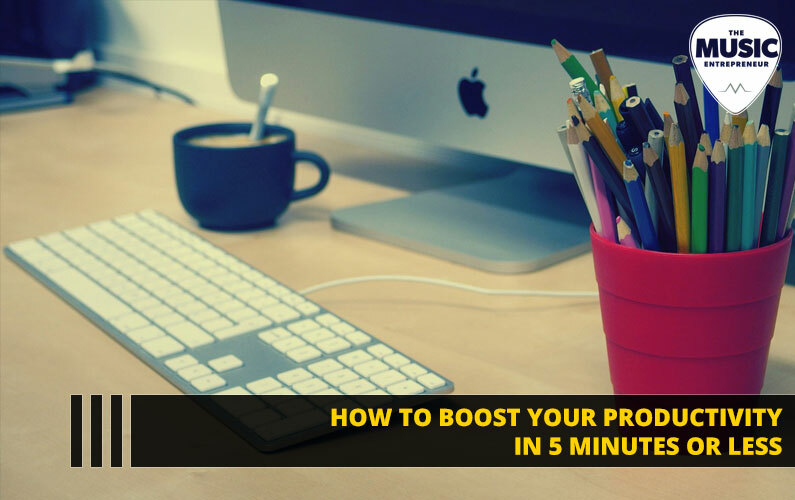 27:04 – What tools and apps are you using to run your business? 32:37 – Is there anything else we should have covered? David Andrew Wiebe: Live streaming is growing fast. “How fast?”, you might ask. According to Stretch Internet, internet audiences are viewing more live content than ever before. 81% viewed more in 2016 than they did in 2015. In this interview, you’re going to learn more about live streaming. Let’s dive right in. Today I’m chatting with CEO of Bulldog Digital Media, John Petrocelli. Welcome to the show John. John Petrocelli: Hey, David. Thanks for having me. David: For those who don’t know, what is Bulldog Digital Media? John: We are a live streaming agency and strategy company. Also, billed as the world’s first live streaming agency and most experienced. What that really translates to is we’re very focused on premium live experiences and bringing them to life on connected devices for all stakeholders, brands, artists, promoters, viewers, you know, you name it. That’s now become a kind of an interesting industry. Our core emphasis in that world is on music, you know performances, festivals, concerts, etcetera. 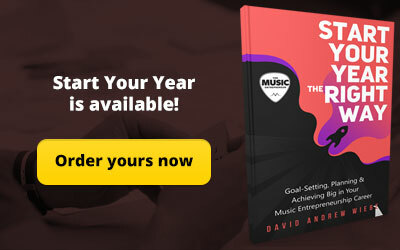 David: Now, live streaming is something that has been around for quite a while, but the quality with which you can now broadcast and distribute content has changed quite a bit in the last 10 – 20 years, right? John: It has. That’s an understatement. I’ve been doing this, it seems like forever. In the last several years the landscape has completely transformed, and now you’re able to have a near broadcast experience on almost any connected device, which this wasn’t really the case several years ago. David: That’s fantastic. And of course, there’s a proliferation of social media platforms and Facebook Live and things like that that people are now really getting into, so it makes sense that the quality would only be elevated, and people would continue to engage with that type of content. Why is the live streaming market growing at the rate that it is? John: It’s a great question. My team and I have kind of lived through this period where it was, you know, early on education and a lot of experimentation to now full on growth mode. I think the market itself kind of roared to life and transformed when Facebook not only explored live streaming, then they began to prioritize it. It’s Mark Zuckerberg’s, one of his passion points at his company. And then they publicly started to articulate that people are watching live video on the platform three times longer than “non-live”. That very much changed the market for sure. I think you’re seeing the same strategy evolving at Twitter. They are really pinning their future on the kind of combination of live video with their social platform. Moreover, I think the world that we’re living in today is really now largely becoming an experience economy or people value experience is far more than buying a watch, or a house, or a car. There’s this big interest in attending things like concerts and festivals and performances. That’s a big factor, but what’s also driving this is kind of this dual phenomenon of a massive amount of connected devices entering the market. I think the prediction is another several billion devices will get connected between now and 2020. And to your point, you’ve got this explosion of social media platforms, so it’s interesting now even though we live in a kind of connected world. The true irony now is people want to have real-time collaborative kind of participatory discussions. What’s also adding to all of this is the quality of video, if you will, on a smartphone is now near television-like quality. All of those things have kind of created almost a perfect storm and that’s what we’re seeing unfolding. David: One thing you said there that I think is key and I want people to make sure they get this point is that live streaming is driving more engagement than other types of content. That’s something that people should definitely be aware of. The other thing that I loved, and I was going to ask about this anyway, is that term “experience economy”. When I came across that, I was sort of chuckling to myself. I’m sure I didn’t come up with it, but I’ve been saying this about business for a while, that it needs to be an experience business. It can’t just be a business, especially in a field with a lot of competitors. If you get into it, how do you separate yourself? I think it’s by offering valuable experiences, right? So, what is the experience economy? John: I started to follow a lot of Michael Luppino’s comments, and a lot of things that he would say to the media. I think the music promoters of today are the best reflection of that. These people are creating these immensely informative and exciting – you could say sensory experiences – at these festivals. So, it’s not just these incredible lineups of artists that they’ve curated. It’s food, fashion, art, culture, learning, causes. I mean what you can experience there is pretty phenomenal. That’s why we’re seeing a massive interest by the consumer to attend and experience. You’re seeing your ticket inventory sell pretty quickly. The big festivals tend to sell out before they announce the full lineup. Several festivals have gone to back-to-back weekends. A property like Lollapalooza is now programmed. Not only the Temple shows in Chicago, but it’s Chile, Argentina, Brazil, Paris, Berlin, etcetera. I think when we say experience economy that has a lot to do with it. I think you’re also seeing artists, tours, you know, big artists paired up with each other going out on tour together. A lot of interesting things can happen there. I think the world… Again, if you look through this through the lens of the millennial consumer – that’s now I think 77 million people – their interest is let’s have an experience versus let’s go buy a material possession. I think it all kind of falls into that realm. But what we’ve seen is the music world is kind of the bellwether there, and what’s happening with the festivals, the concerts, and the performances are kind of the driver behind the whole business. David: In your experience, what sort of transformation can artists or business expect when they take their business from maybe something that’s a little more flat and a little less experiential to then incorporating something like live streaming? What’s sort of the average case study? 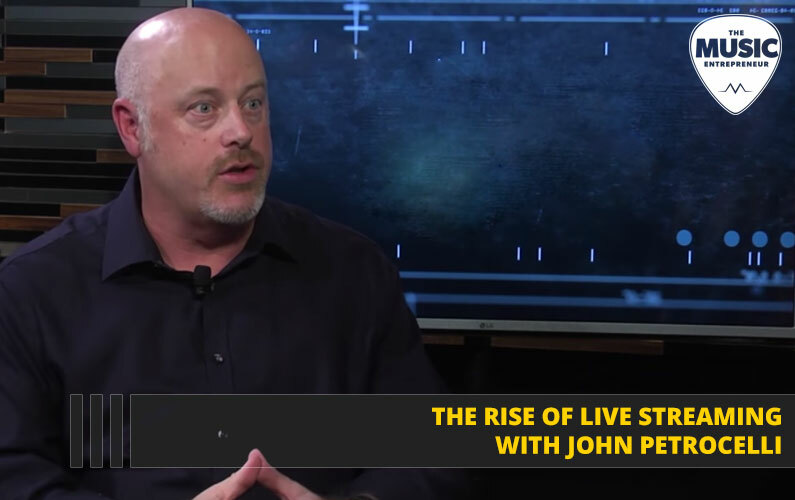 John: I think the most exciting aspect of live streaming is engagements and executing experience. I would say best practice which is what we’re focused on, is really transforming the viewer into a participant. It’s not putting up a webcam and filming a DJ, or a band, or a performance. It’s making a very rich and highly engaging digital broadcast. It’s the next best thing to physically being there at the festival, the venue, the club, the arena, the lounge, etcetera. That’s where we see a lot of interest, right? If you could have someone tune in for 10, 20, 30, 40, 60 minutes, that’s a big win for everybody. Especially Madison app who is now really struggling with how do I connect authentically with the consumer, but more importantly, how can I get their attention, and how can I drive engagements. What I mean by some of those things is we’ve learned along the way as a live streaming provider – how do we do that? The live video player in and of itself has to load on the consumer device in the first three seconds, or we lose 20% of the audience. In addition, my team pioneered in the multi kind of channel, multi camera experience. We want to get away from the traditional broadcaster kind of forced television programming. In the streaming world, we can deliver a multi camera or multichannel experience, so you can switch from a stage at a festival or perspective at a concert. So, now the viewer is curating their viewing experience. We’re also doing this at a high-quality video production. The other, I would say equally as important, is the ability to allow the viewer to have a conversation and collaborative participatory dialogue around what they’re viewing. Having done a lot of this — I moved YouTube into this market. We had tools. We learned that sometimes the comments and the conversation, or I’ll say oftentimes are – they’re offensive, they’re not related to the video, they’re taking away… The conversation is just not germane to the performance or the artists. So, we’ve created, or we found tools that would aggregate the conversation but more importantly curate it. So, now that social stream is completely related to videos. People pulling away from the conversation now. They’re more engaged. So, then, we started to see this is now the whole notion of moving the viewer into the role of a participant. They’re changing camera perspectives. They’re having a conversation and the user experience. We can also provide things like polling, widget or a trivia widget, or a photo wall, etcetera. Now, the viewer is completely engaged in this live performance. That’s why we’re seeing a lot of kind of movement into the space. David: That’s great, but it does raise a couple of questions for me. I’ll start here. What do people need to know about live stream best practices? How can they execute at a high level? John: A lot of it comes down to some of those notions and those ideas of giving the viewer something to do besides just passively watch. So, it’s create the opportunity for conversation. It’s again assuming a quality video. You want to have a live video player that loads instantaneously. Also, awareness. You want to let people know that you’re putting forth this experience, or this concert will be live broadcast and that could be powered onto Facebook Live, a YouTube or Twitter experience. Also, there’s ways to syndicate the video out onto other platforms. David: This is the other thing that I’m wondering about. Obviously, what you offer is a high-quality service. You said it’s not just about putting up a webcam and then streaming live, but most musicians probably don’t have a sophisticated setup for capturing streaming video, nor do they have a massive budget to spend on it. In your opinion, how can the average musician leverage live streaming to build their fan base? John: Well, the good news is a lot of the cost to do this are falling dramatically. The cost of bandwidth has declined substantially. When we started doing this, it all had to be satellite based. You’ve got to bring a satellite truck and take the feed and, you know, point it up and then pull it down and then code it. Very costly to do that. Now, fortunately, a lot of venues have video or streaming bandwidth infrastructure installed. 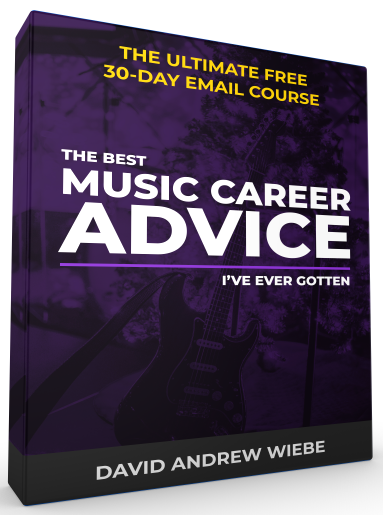 But if an artist is starting out in their career, there are now tools that are user friendly tools across a lot of these offerings. Now, anybody can live stream on Facebook. There’s a live platform called Livestream. They make these very cost effective live streaming appliances that was just acquired by Vimeo, I think about a month ago. Same for Twitter Periscope. Literally anybody can put forth content on the platform. Now I think there’s almost no barrier to entry to create a live video experience. The other end of the spectrum obviously is the Coachella like broadcast where there is content coming from, professionally produced content from six stages. It’s three channels of live video, eight to 10, to nine hours a day. There’s something there for everyone regardless of cost or lack thereof. David: That’s good to know. I certainly had an earlier podcast episode interview that was specifically about video switchers and things of that nature. They were selling something that cost probably people a little bit more, but you’re absolutely right, the costs are coming down, and the barriers are falling away, which is fantastic. What is the connection between music festivals and live streaming? John: It’s an exciting time. The big driving experience obviously is the Coachella experience, and that happens on the masthead. It’s all across YouTube. You can see it in all its glory and all of those stages all those days. The big experience is that multi day, multichannel, multi-stage experience like a Coachella. Similarly, you’re seeing Rebel TV as I think a very predominant player in the space. They power Lollapalooza and Austin City Limits. Last year they also had Bonnaroo and then a couple properties in Europe. That’s a very rich experience. Recently, I think Red Bull has opened it up and brought it out to other platforms as well, but they bring a full-on kind of like ESPN kind of game day approach with host and interviews in addition to a myriad of live performances. And then, Yahoo and Toyota also package up Firefly, Voodoo, and others this past year. It’s a developing market. It’s also you could say a little fragmented. There’s been other experiences along the way. The result – I think what’s interesting here is that the notion of these are almost professional sporting like experiences in their broadcasts. This, I think become very appealing to the marketers and brands who are saying “Boy, I can’t reach these consumers.” This consumer is – I always say this – they are not watching Law and Order on Thursday night at NBC, and they’re consuming the State Farm commercial. What they want to do is go to shows and go to experiences. We’ve seen data. I’m a former… I previously took a business. I sold it into AEG and I kind of moved that market and I have live streamed you know Coachella, Lollapalooza, Bonnaroo, Rock in Rio, etcetera. It’s been interesting data. In this country, I think it’s one in five millennials will attend at least one music festival. The interesting related data point to that is that they’ll travel an average of 903 miles to attend. We conclude that they’d love to attend more if they can. The ability of creating more and more live stream festival inventory, there’s an audience there that’s ready to take it in and enjoy it and experience it. It’s an exciting market. I think it’s moving very quickly. I think the appeal here is that you’ve got… In some cases, 80 – 160 bands performing in the course of two, three, four-day weekend that they’re performing, they’re ready to go, and to take this video workflow and streaming workflow infrastructure and flip the switch and turn it on. It’s the next best thing to actually attending and being there. We spend a lot of time in that market. We work with 30 to 40 music festivals and kind of guide their live streaming strategy and kind of create the dialogue with the platforms as well as the brands and the media agencies and say, “Hey, you’re spending traditional dollars to reach consumers who are not watching your kid TV commercials or your billboards. This is the most effective way to reach and engage them. David: That makes a lot of sense. I’d like to switch gears now and ask some personal and business-related questions. John: Hmm… The biggest struggle for me in this business was immersing myself and fully understanding how Madison app works and how brands operate, especially through their labyrinth of agencies. The big brands of the world have media, digital, and now they have social agencies, they have experiential agencies, and it’s a constantly changing world. Some of these agencies are owned by the same parent companies, yet they compete somewhat. It’s a constantly moving market for them. I think the throes of, I would say massive disruption, they’ve built their entire industries on traditional television and print and other forms of out of home advertising. The world is rapidly changing for them. Now they’re trying to connect with a pretty big group of society who’s growing up as digital. Today’s millennial has known nothing but some sort of connection and ability to access information and experience content whenever they want. So, knowing and kind of going into that world is a little bit of baptism by fire. But it all kind of migrated in the right direction, especially in the last two years (i.e. The whole Facebook Live prioritization. And then, Twitter, and YouTube, and even Amazon is kind of going down that road). I think I would say my biggest frustration was I probably started my business maybe a year or two early. But I think the upside is it’s better to be a year or two early than a year or two late. Now we’re kind of reaping the benefits of it. To counteract that, we had to do a lot of handholding, a lot of evangelism, you know whitepapers, you know panels. I spoke on a panel yesterday and that helped position us as, I think a thought leader in the space and someone that the content, brand, artist, music, promoter, community, could turn to knowing that the world is kind of moving into this universe. That’s been, I would say a challenge but also in some ways helped us build our character. It’s been a little bit of a blessing in disguise in the long run. David: It’s interesting. The point that I related to was just starting too early in a sense. I feel like The Music Entrepreneur HQ wasn’t necessarily an idea that resonated early on. It might have been four or five years too early. Either that or I just really didn’t know what I was doing when I built the website but. John: Well, we’ve kind of gone down almost the same path. Music has become a real hot business, I think, right now especially with the Apple and Spotify, Pandora title market now really starting to return revenues back to the record labels. You’ve got artists now making terrific money touring. I think there’s a bit of a renaissance going on. I like to think that digital has a lot to do with that. I think there’s a lot of great entrepreneurs in the music business as well who are taking risks and rolling the dice. It’s a fun ride. David: Yeah. An exciting industry but not the easiest to succeed in, I think. John: You said it. That’s dead on. David: And on the flip side, what are some of the biggest victories you’ve experienced as an entrepreneur? John: I think early on getting into winning business at a company like Coca-Cola and having a very successful partnership with them. Live streaming a major music festival and helping them achieve their goals has been really, I think a big feather in our caps. Partnering with a wide group of music festivals. Getting to work with the promoters. Having to help them understand how this business is changing digitally. I think they’ve got a pretty good handle on their universe which is challenging for them. The have to book bands, sell tickets, and manage on-site sponsorship. We’ve been able to almost fill a niche with them and say “Hey, we’ll take care of everything on the digital side. We’ll shape the conversation. We’ll do the execution.” That’s been really helpful. Moreover, I think it’s also been… Going down that road and talking to the brands for so long is now returning pretty big dividends. In this year alone, we’ve worked with Nestle, Snickers, Coca-Cola, AT&T, Nissan, Sony, Hilton. Facebook is a client of ours. It’s proven that the time we invested early on is now starting to reap some good benefits for us. I think the most rewarding thing is probably addressing the biggest challenge, which was getting in a plane and going to New York and sitting with a massive, big, big agency who’s managing all of Mastercard’s money or American Express, or Coca-Cola and winning their trust and helping educate them, and then going out and doing deals together. I think that’s been the biggest success. 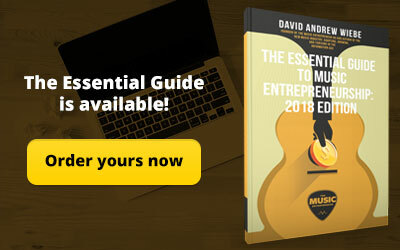 David: There’s an interesting parallel there with my business as well, because early on I wasn’t really sure what my product or service should be. It’s just recently that I began to see some things gain some traction. I went “now I know what my focuses are in terms of generating revenue.” So, it’s such an interesting journey. John: Yeah. Sometimes it just comes to you. I think you start a business, you have a couple directions you can go. People always use the word “pivot”. You may find an experience or a customer or an opportunity that can really transform and change your business. If you can react to that… Fortunately, as entrepreneurs you can. I think it’s a lot harder for a big massive heavily entrenched company to have flexibility and change with the market. I think you’re kind of seeing that today. A lot of the print companies are in dire straits now knowing that people aren’t buying a lot of print like they were 20 – 30 years ago. So, there’s an upside too as an entrepreneur. You’re kind of reading the pulse of the market. Where is this headed? How can I reorient my business to move in the right direction? David: Right. The ability to be agile and flexible and change the approach as necessary. I love that. David: Are there any books that have inspired and helped you on your journey? And if not, are there any blogs or podcasts that have? John: Yeah. Mark Cuban wrote a book. It was called How to Win at the Sport of Business and he only made it available digitally. He’s a guy who… I kind of got into this business largely due to him. 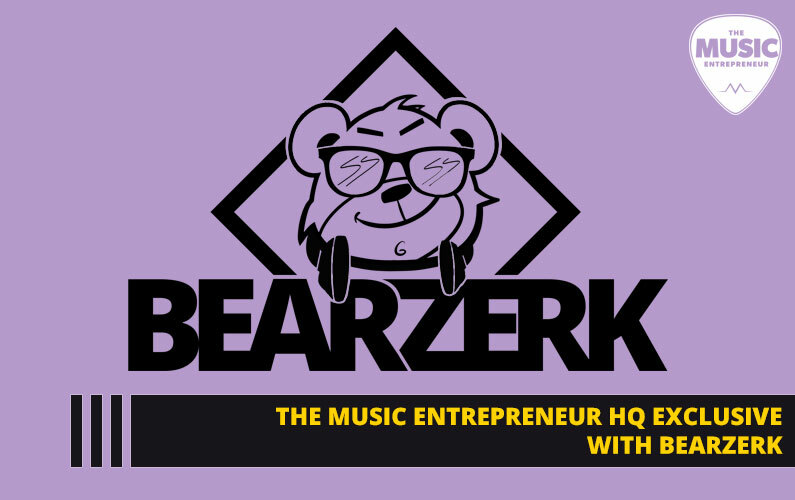 I got into streaming when I saw that this guy had created this audio-based live streaming platform for largely… His story is he’s from Pittsburgh. He was living in Dallas. He wanted to stream his Alma Mater which is Indiana State in Indiana. He figured out a way to get the radio feed and code it and live stream it. He built that into a company called AudioNet and then Broadcast.com, which he sold to Yahoo for $5.7 billion. I said “Hmm. There’s a business here.” This is purely audio. There’s no video at the time. He’s been a pretty outspoken guy. He’s not shy, but he wrote a terrific book about hustling, being determined, continuing and pushing through. I loved his philosophy that you’ve got to sell. People aren’t going to come to you and knock on your door and hand you business. You can’t expect to be an order taker. You’ve got to go out there and make things happen and learn from that. That was really helpful. I’m a big follower. I really enjoy Bob Lefsetz. His writings, I find him to be thought provoking, very interesting. He started a podcast I think earlier this month, which I think is really informative. Then, I like Recode. Peter Kafka’s podcast of all things business and media is pretty interesting as well. It’s been very helpful. David: Great. Those are some things for me to check out as well. What tools and apps are you using to run your business? We like to geek out about this on the podcast sometimes so. John: What I really, really like, and I tell people when they ask this question all the time, you know when you’re moving around and you’re an entrepreneur, a lot of your business is conference calls. I live in LA, so it’s a car you know. You live in your car. I used to find myself stumbling and trying to find the conference call number and the pin code. Then, from the moderator I have my own passcode as well. I think this is super difficult. I found an app called MobileDay and it syncs with a calendar. It literally takes the number, the dial the number, the passcode, and the pin. You hit one button and you dial right into the call, so that’s been a lifesaver. It’s been a terrific app for me as a business operator. It’s also returned a lot of time to my day. I don’t want to be thinking about what’s the number I have to dial into. That’s been really, really good. I have to say to that LinkedIn, I think has added video in the last four months. That’s been really, really helpful. I’ve also used it as a way to publish articles or interesting things I read about live streaming. It’s garnered me, I think a lot of feedback, a lot of nice followings. You can see who’s reading, who’s viewing your posts. 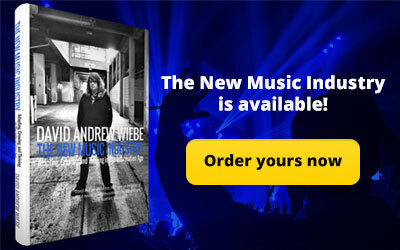 It’s people at Amazon and Live Nation and AEG and Google, so I know I’m kind of connecting to the right audience. That’s very recent. It’s been very, very effective. Our followers have also shot up pretty high. Those are, let’s say, MobileDay, LinkedIn has been very, very helpful for the business. One of the things I did too is I hired a PR agency. I started to see there was a lot of noise being made about the live streaming market. A lot of confusion a lot of times in my world, it’s production people that are raising their hand and saying “oh, I produce content so therefore I can live stream.” It’s a little different. Watching video on a mobile handset, a smartphone, a tablet, a gaming console – it’s a different experience than filming something. There’s a bit of a fine line there. I started to see a lot of the companies, the tech companies too, that were in just the pure online video world were also making a lot of noise about being “experts” at live. VOD and live are two different beasts all together. I think the internet was architected on a VOD basis. Meaning, if you want to watch a music video, you go to Vevo, a TV show, on Hulu, a movie on Netflix and anything and everything on Apple and YouTube. I think what people didn’t realize is that live was going to happen the way it did and explode. Serving live show out to 2.4 million people who are on a thousand different device profiles who are also posting a comment and retweeting. It’s an entirely different business. It’s sometimes just not easy. 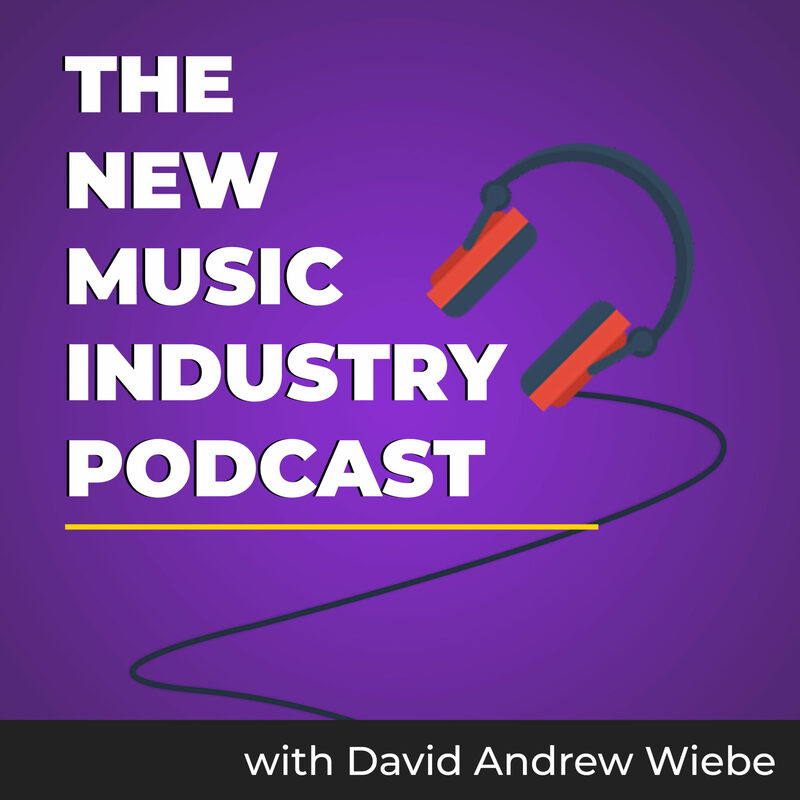 I mean we brought in a publicity company to do just that, and kind of talk about why we’re different, why expertise is important, how to help, you know, whether it’s live streaming artists like a Paul McCartney or an A-list artist like Coldplay. They are particular about how they want to be represented, and how their performance should be represented in a live stream or on a connected device. We’ve figured that out. We’ve learned by being in the trenches and going out to places like Bonnaroo where there’s not a lot of technical infrastructure of any kind in creating a broadcast. Same as doing that in a small venue somewhere. So, having a, let’s say a PR agency, you know, my PR agency is also Bruce Springsteen’s and they’ve been together for I think 37 years, so they know the artist perspective very intimately. That’s really, really helped the company get some attention across the market. David: I like your selection. I feel like in an ideal world there wouldn’t be conference calls, because unfortunately I find they don’t add a lot of value a lot of the time. But if you’ve got to do them, you’ve got to do them, and having an app that streamlines that process is a certain value. LinkedIn is an interesting one. I don’t prioritize it myself, but I still do post my stuff there sometimes just because certain articles or podcast episodes will gain a little bit of traction on LinkedIn. So, still worth sharing, even if it’s not primarily creative or music based platform. John: Yeah. Now we had too – linking your LinkedIn to your Twitter feed so any post you put on LinkedIn appears in Twitter. That’s actually been probably the difference, and has been really helpful for me. David: Yes. Using Twitter as a slave. I like that technique. It works great for Facebook too, so if you want to get more Facebook followers that’s a good way to do it. John: Yeah. And I think you can’t underestimate too the attention that’s being given in Instagram as well. It’s been helpful for the business. David: Yeah, Instagram is huge. Well, this has been a great conversation. Is there anything else I should have asked? John: I concluded… I did a panel last night and the conversation was “well, what do you see happening next?” I think in my world, at some point the notion of VR, augmented reality, mixed reality, is going to kick in. I’m always at a loss to explain when because I’m kind of living in the live stream market today where you don’t need a special device to watch a concert or a performance. I’m always wondering… I guess I’m coming into the New Year wondering – is this the year that more of those devices will ship during the holidays or we’ll see more adoption. That’s one thing. But I think overall, I’m anticipating, from my perspective, a pretty major year and the growth of the live streaming market. I think music is going to be the main driver there. What I mean by that is I’m seeing companies like Yahoo, Amazon, and YouTube, they’re writing these big checks for things like an NFL game or an NBA game or some mobCONTENT. I understand why they’re doing that, but I think their attention is going to shift into live music given that it’s probably not going to carry the price tag of the NFL. But I also think it’s got much broader appeal. I think an NFL game has great popularity largely in the US and Canada, but music I think is a universal experience. Viewers around the world would love to see Kendrick Lamar’s headlining performance at the Firefly Festival or Outside Lands. I think they’d also like to see an artist like Springsteen performing in a big festival in Europe in the summer, whether that’s Class and Berry. Even the festival market in China is now exploding. I think especially with electronic music. What is it like to see Dead Mouse playing in Beijing? This is content that’s not going to be on broadcast television, but I think the live stream offering can be available to anybody on any connected device. I think there’s a big movement in growth in this market overall. David: That’s great. Sounds like next year will be a big year for you, so I wish you all the success in that. John: Yeah. Same for you. David: Thank you. Well, thank you so much for your time and your generosity. John: Thanks David. I appreciate it.